For the SAS Security Intelligence team, it means identity theft…benefits fraud…unemployment insurance fraud...insider threats. Why? Because next week is International Fraud Awareness Week! And we’re celebrating by going on a blogging binge. Everyday next week, Monday to Friday, a member of the team will write about a particular fraud topic. Take a look at the line-up below. Carl Hammersburg is like the kid that can’t wait to open his presents so he peaks under wrapping paper and whines until he gets one present early. We let him have two. He posted two fraud blogs already this week! Check out his round-up of fraud news and his take on the Medicaid fraud epidemic. Enjoy those then come back on Monday for more great fraud content. You can also follow the conversation all week on Twitter through #FraudWeek. Monday: Still chomping at the bit, Carl will tell us about schemes in unemployment insurance claims and tax evasion. Tuesday: Shaun Barry writes about the hidden connection between prescription drug abuse and fraud. Wednesday: Ricky Sluder will discuss data mining as a valuable weapon in a Medicaid Fraud Control Unit’s fight against health care fraud. Thursday: John Stultz questions whether the popular demand for “predictive analytics” misguides our efforts to detect fraud. 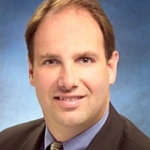 Greg Henderson is a Government Solutions Architect in the Fraud and Financial Crimes Global Practice at SAS. In his current role, Greg is in charge of field support and product direction in applying SAS’ fraud detection and prevention capabilities within the government market. During his 13 years at SAS, Greg has worked in various sales, marketing and technical roles applying SAS’s data integration and analytical capabilities to solve real-world business problems. He led the development of SAS’ market leading anti-money laundering solution, and for the past 6 years has focused exclusively on applying his knowledge and skills in the government space. He has authored several papers and presented at industry events on these topics. Greg holds a degree from Bowling Green State University, and resides in Raleigh, NC.